Air and Space Museum Visit: This started everything! 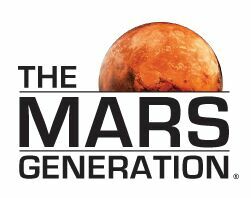 The Mars Generation » Blog » STEM » Air and Space Museum Visit: This started everything! 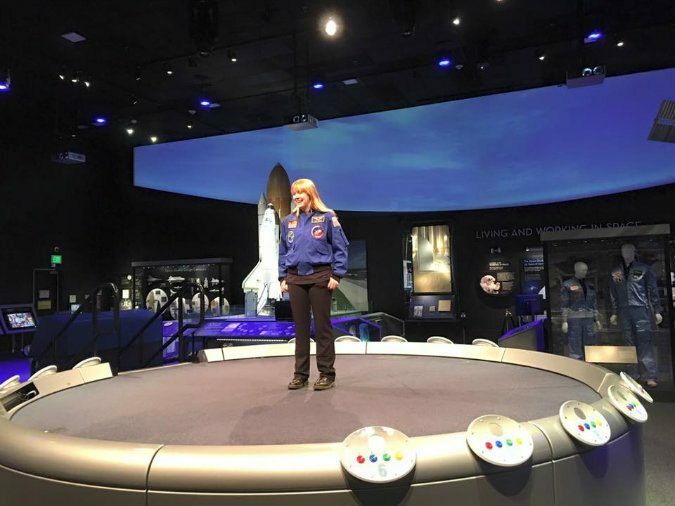 Here is Astronaut Abby filming for the STEM in 30 program produced by the National Air and Space Museum, Smithsonian Institution. Do you remember your childhood dreams? When you started thinking about your future and what you wanted to be when you grew up? For our founder, Astronaut Abby, her childhood dreams of wanting to someday go to space, have guided her on a journey that has no end in sight. 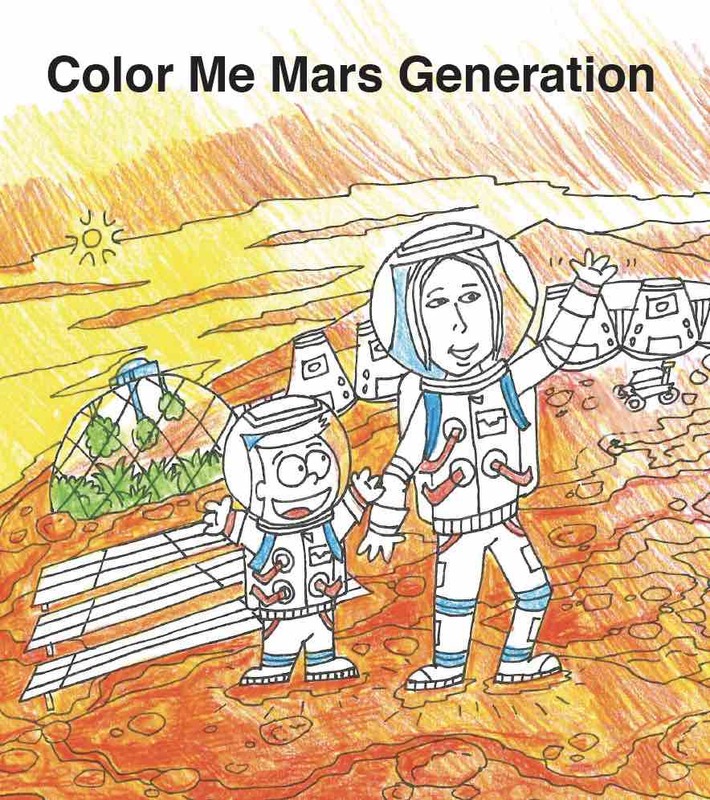 And part of those dreams led her to the Air and Space Museum and that eventually led to founding our organization, The Mars Generation. As Abby’s mom, I often get to tell the fun and cute stories of Abby growing up. And believe me there are many. The story of the Air and Space Museum is one of my favorites. It is because of her desire to visit this museum that Abby’s blog and Twitter account were started and that led to her outreach program which eventually led to this nonprofit. A great photo of the National Air and Space Museum, Smithsonian Institution observatory. So much fun to see up close. When Abby was 13 and in 8th grade she came to me and declared that she was going to participate in her school’s National History Day competition. National History Day is a competition that schools around the country participate in and students compete to move to state and hopefully the national final championship. In Minnesota, History Day is a big deal! And for parents it is the bane of our existence as teachers tie it into the classroom curriculum every other year from 5th to 12th grade. 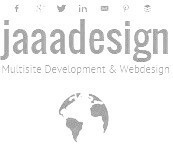 The students have to perform well as their grade is dependent on their project, and that is where the fun starts. As a single mom, I had two kids going through this “hell” (that is hell for me) and I was pretty much buying presentation boards, editing papers, helping paste photos, edit videos or some other function that parents are often tasked with doing. When Abby informed me that she wanted to do the competition in her “off” year – the year she was not required to participate – I was not overly pleased. I asked why would she want to do that to me and she said because she wanted to win and make it to nationals so she could go to Washington D.C. for free and go to the Smithsonian Air and Space Museum. How can I argue with that? So I said what does a winning project look like and she found a 12th grade presentation board project and then fun began. Long story short – Abby created an amazing project about the “Debate and Diplomacy of the development of the ISS”. We utilized our handyman to make her a metal presentation board out of metal roofing materials and her science coach made her a base and wood title board – the display could be a max of 6 feet high. Abby used magnets and velcro to attach all the pieces to her presentation and it was pretty awesome. She even built a model ISS – with the help and friends and neighbors. This was the project to beat. But she did not win. As she was told it was too much like a science fair project than a history day project. It’s a small world! 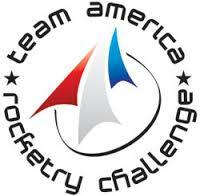 We ran into a Team America Rocketry Challenge (TARC) student at the National Air and Space Museum, Smithsonian Institution – so much fun to connect after TARC2016! Losing was a bummer, but she had already won because she had done so much to build the project, including getting on Twitter for a few quotes from NASA employees, which led to me taking her to her first launch at Kennedy Space Center. 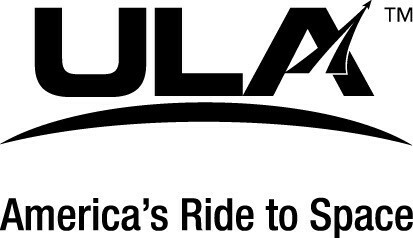 After that launch we had connected with so many wonderful people in the space industry (remember we are from Minnesota so there is not a big space industry here). Abby also met her mentor Astronaut Luca Parmitano which allowed her to attend his launch and start her outreach program. That one school project changed the course of Abby’s life. And my life too. I was not a space fan but I am now. 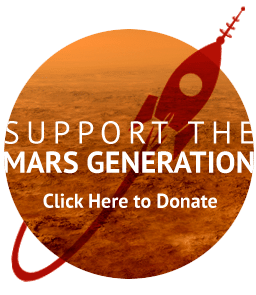 I never imagined running a Mars nonprofit, but now I am. Thanks Abby! 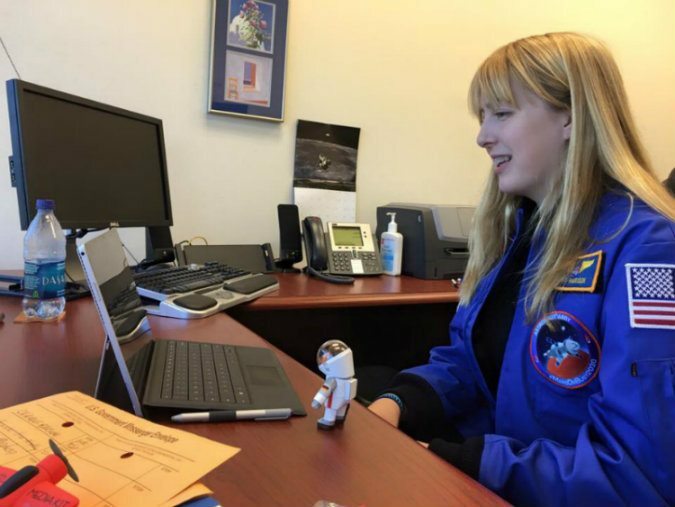 Abby began to have opportunities to attend space events around the U.S. and world but she never made it to D.C. After 5 years of speaking, doing web chats, attending events, autograph signings and more – Abby finally made it to D.C. for the Humans to Mars Summit and TARC launch in May 2016. 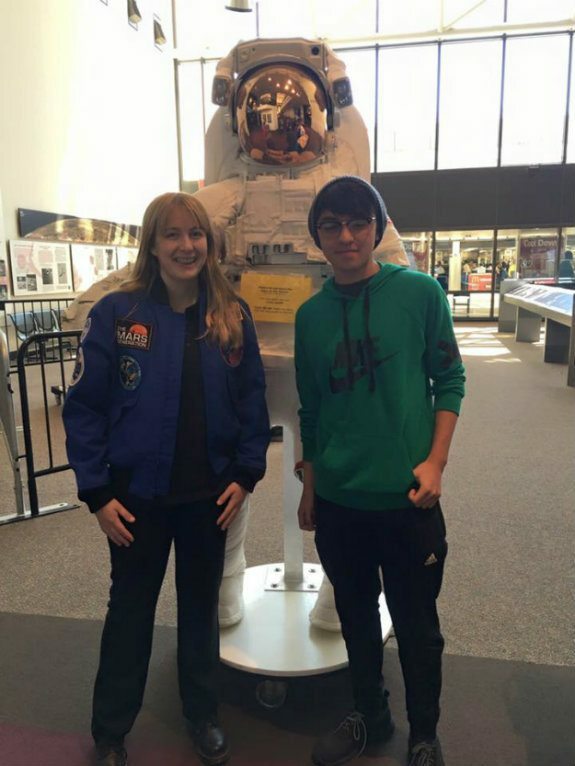 These two events led us to connecting with the Air and Space Museum and they kindly invited Abby in for a tour with one of their curators. 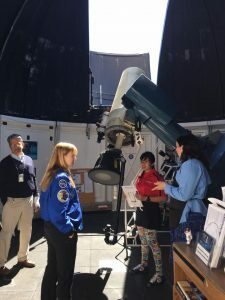 She was interviewed for their STEM in 30 video series that broadcasts to schools around the U.S. and she got some time in the observatory as well. Overall it was an amazing day and we feel so fortunate to have had the opportunity to meet the amazing staff and get such a great tour. 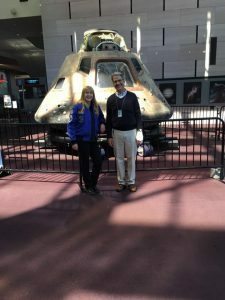 It was so kind of Paul Ceruzzi, one the curators of the National Air and Space Museum, Smithsonian Institution to take an hour out of his busy schedule to give us a tour. His knowledge was amazing! 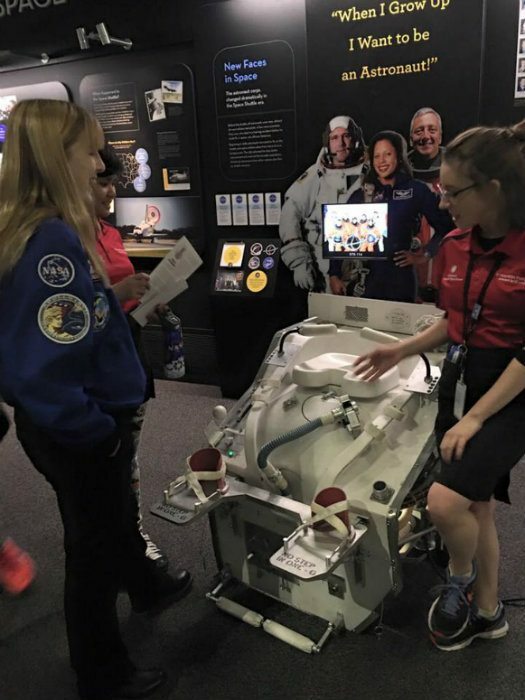 Here Abby is with a another student Explainer – talking toilets in space. Always a funny conversation! 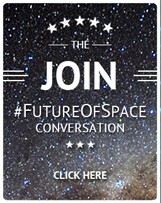 Astronaut Abby and Mausonaut participating in the Living Maths Google hangout at the National Air and Space Museum.